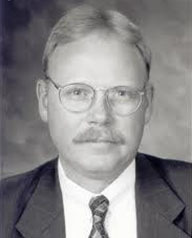 Robert C. Veil, Jr. is a graduate of Freed-Hardeman University, and the University of Maryland School of Law. He maintained an active private practice of law for over 15 years, and later served as a full-time prosecutor for the Office of the State’s Attorney for Washington County, Maryland. In that capacity he had numerous jury trials, and has personally tried several hundred cases. He has written numerous articles for various publications and has participated in a number of religious debates. He has spoken on lectureships, special seminars, panels, and training classes. He is a frequent speaker in special events, and is also currently involved in mission work in Broad Top, Pennsylvania. Bob and his wife, Marvina, have two grown children, Robbie and Kaitlyn. He currently preaches in Martinsburg, West Virginia.